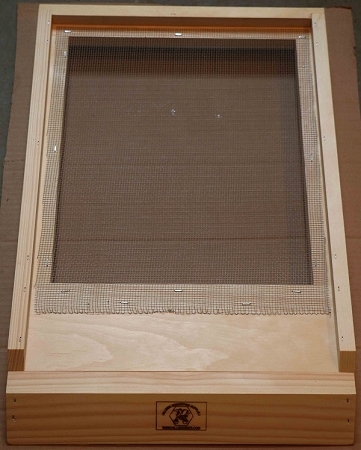 Practice IPM with our Deluxe Screened Bottom board with 8-mesh screen for Varroa mite removal from hive. 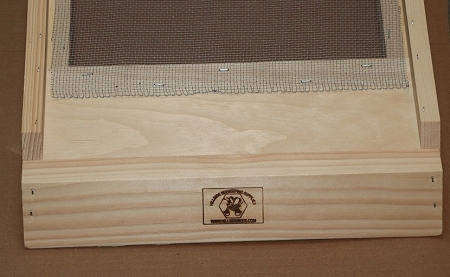 There is a built-in front ramp for bees to land on and enter hive and a mite sheet inspection area in rear of bottom board. 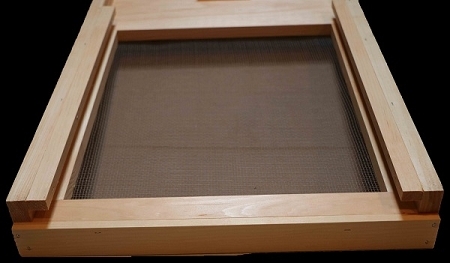 This bottom board is for use with 10-frame hives. Optional Hot wax treatment available. 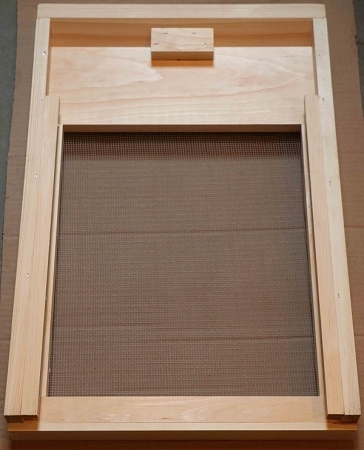 Bottom board is boiled in paraffin wax to remove all moisture from wood, for $8 additional (quantities may be limited). Water will bead off wood and not penetrate, so no chance of rot or bug damage. No need to paint ever!